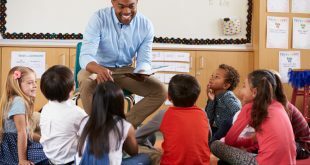 “Is my child ready for elementary school?” If you’re the parent of a young child, or children, chances are you’ve asked yourself this question. In today’s world, we want to make sure we’re giving our children every advantage and opportunity we can. And that means ensuring their education begins early—and gets off to the right start. Of course, it’s not just about checking all the boxes. You’re looking for a special experience for your special little one. Well, you’re in luck. Two local schools, La Petite Academy® and Childtime®, are both amazing places to learn and grow. La Petite Academy is a great place to start, with STEM-based curriculum (science, technology, engineering, and math learning experiences) and inspiring, interactive classroom environments. 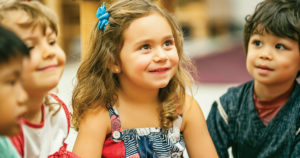 Childtime offers a warm, collaborative school experience, where learning is driven by children’s natural curiosity, bursting creativity, and strong bonds with teachers. Plus, don’t miss a single precious moment. Their mobile app for parents keeps you connected all day, with real-time updates and photos about your child’s experience. They’re now enrolling at 12 schools in the Baltimore area. Schedule a tour today. This institution is an equal opportunity provider. ©2019 Childtime Childcare, Inc. and La Petite Academy, Inc.
My daughter is almost old enough to start going to preschool, and your article had some great tips to help me choose a good school she can start going to. I liked how you said to consider aspects like curriculum, building safety and security, and physical activity when choosing a preschool. Thanks; I’ll keep this in mind when choosing a preschool for my little girl. Thanks for the tip to look at the food selections to make sure they are healthy. I’m looking for a preschool to enroll my son in, so I’m trying to figure out what to look for. I’ll have to make sure I find one with a good menu so I can make sure he gets something nutritious when he goes.